Infinite Art Tournament: The Most Comprehensive Coverage You are Likely to See of the Flag Controversy in Malawi! 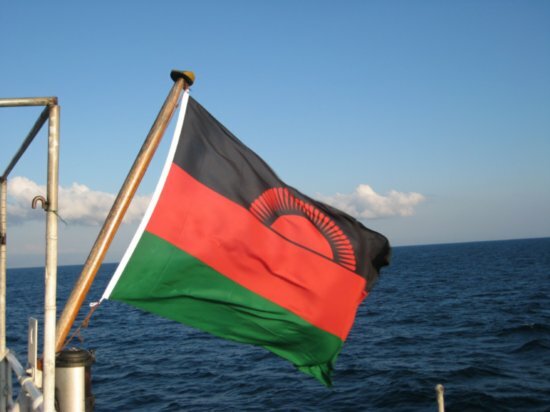 The Most Comprehensive Coverage You are Likely to See of the Flag Controversy in Malawi! Why the change? And why, as it turns out, are a lot of people in Malawi not delighted with this change? I did some skimming of the Nyasa Times online to dredge up the basics. Said the Information Minister: “The essence of changing the national flag is that times have changed since 1964 when Malawi adopted the flag on attaining its independence. “We are not necessarily changing the flag as it has been reported by other quarters but we were modifying it to reflect the modern Malawi,” he said. Is he making an attempt at reconciliation? Is he floating a strategy for the Supreme Court case? Kind of hard to tell from this distance, of course. Now of course, this whole debate is nobody's business but the Malawians'. But -- as a complete outsider (presumably), what do you think? Do you like the new design better, or would you stick with the old? I like the old one because it is more distinctive, the half-sun being placed in the upper corner instead of the center. It seems that centrally-placed, circular elements are a dime a dozen in the realm of heraldry. The half-sun intrigues me, as does the asymmetry. --posted by Heatherbee, who can't remember her password. I liked the asymmetry of the old flag in the photo also, but thought it was likely a trick of the wind, so doublechecked it on Wikipedia (Hey, did you know there's a Flag Timeline?). And the old rising sun is centered in the upper section. Even so, I agree that it was more distinctive than its replacement. The whole notion that times have changed, so the flag should change also was surprisingly surprising to me. Never thought of flags that way. Seems unfair to expect them to carry the message du jour. But I'm sympathetic to the sense that, hey, our sun's been rising 46 years, shouldn't it be up by now? Sad thing about the new design: the sun's risen, but it isn't illuminating anything, it's still set against a stripe of black. And centering it makes it static, so for me less hopeful. However, now more easily seen under poor illumination! The president has shares in the local flag factory. I kind of like the new flag better to be honest. You must just LOVE a news story like this. I'm guessing it doesn't happen all that often. And I recently read a non-fiction book that was set in Malawi ... they don't have a great track record for their government from what I can tell.